R1.2bn Jewel City mixed-use development set to revitalise Joburg's inner city 28 Mar 2019 Construction of Divercity Urban Property Fund's iconic Jewel City redevelopment is forging ahead. 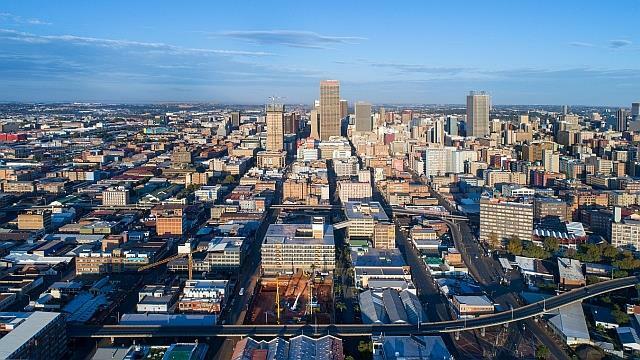 The project is changing the face of Johannesburg's CBD and revitalising six city blocks that have been closed to the public for decades. Work has started on the first new residential building in Jewel City and, in addition, the first residential conversion of an existing building on site is now under way. Work has started on the first new residential building in Jewel City and, in addition, the first residential conversion of an existing building on site is now under way. The Jewel City redevelopment initiative is a substantial investment in Joburg by Divercity, a new investment fund that is renewing and re-energising South Africa's urban centres with unique inner-city precinct development. Divercity combines commercial buildings with affordable residential accommodation to create inclusive and diverse neighbourhoods. Its key shareholders and stakeholders are Atterbury Property, Ithemba Property and Talis Property Fund, and its cornerstone investors are RMH Property and Nedbank Property Partners. By remodelling Jewel City's existing buildings and constructing new buildings of over 40 000sqm, Divercity is converting a formerly closed-off area of the city into a thriving, modern inner-city neighbourhood. Jewel City will reopen to the public in 2020 as a vibrant mixed-use precinct, including 1 200 new residential apartments in its first phase and up to 1 000 in its second phase. By remodelling Jewel City's existing buildings and constructing new buildings of over 40 000sqm, Divercity is converting a formerly closed-off area of the city into a thriving, modern inner-city neighbourhood. South African property developer and investor, Atterbury, is managing the development for Divercity and reports that Nomad Construction is the appointed contractor of the first residential redevelopment, Block One. The WBHO/Matheo JV is the appointed contractor for the first new residential building, Block Six, and all other elements of the development. The master programme for Jewel City has been orchestrated so the development of all six buildings of the first phase will be completed at the same time. "There will be a crescendo of activity as those buildings that require less time for completion are progressively added to the active construction programme," explains Derrick Pautz, Atterbury Development Manager. Residents are expected to move into their Jewel City apartments from November this year as the first floors of residential development are completed. Upper floors will become available first, moving down the buildings until all floors are finished with Phase 1 completion in April 2020. The amenity-rich mixed-use precinct also includes commercial space and parking. There is already good progress on leasing the development's first 14 000sqm of commercial space, which includes a primary and high school and medical facilities. Jewel City will reopen to the public in 2020 as a vibrant mixed-use precinct, including 1 200 new residential apartments in its first phase and up to 1 000 in its second phase. "Jewel City is enjoying excellent buy-in from major national retailers, which are showing keen interest and commitment," reports Pautz. The world-class 'live, work, play' Jewel City will connect with two other Divercity projects, being the new Towers Main redevelopment in the Absa precinct and its vibey Maboneng residential addresses. This link will be facilitated with a people-friendly walkway along Fox Street. "We're excited to break down the walls of Jewel City and open up great living opportunities and enhanced quality of life for people in the city," says Pautz. The development is a massive boost for the economy of Joburg. It will create an estimated 1 279 temporary jobs and 25 permanent jobs and add to both the municipal and national tax base. Jewel City is expected to have a total development value of more than R1.2 billion once complete.